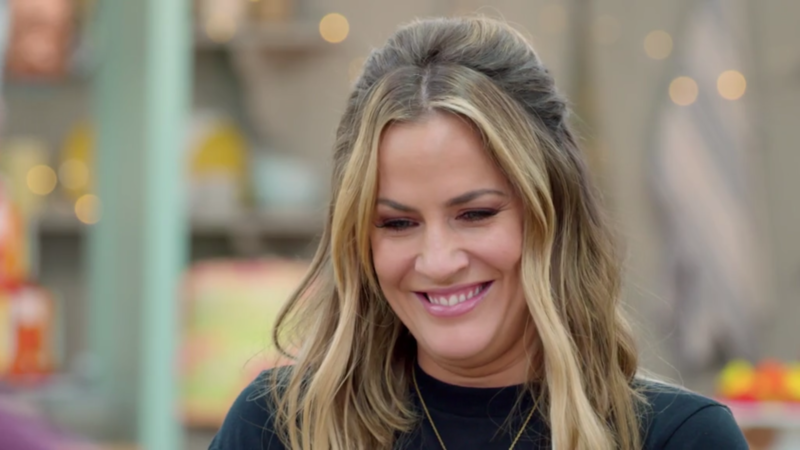 Caroline Flack made her Great British Bake Off debut last night – and it didn’t exactly go to plan. After spending her time in the tent applying make-up and testing out whiskey, Love Island presenter Caroline had viewers in hysterics with her final showstopper attempt. But her hilarious efforts ended up looking sort of like Roz – the grumpy yellow slug from Monsters Inc… see what we mean? ‘Thought it was just me, but apparently everyone else thinks @carolineflack1 showstopper looks like Roz I was in stitches when she made the nose ,’ wrote one fan on Twitter. Meanwhile, loads of fans just loved Caroline’s whole appearance on the show. 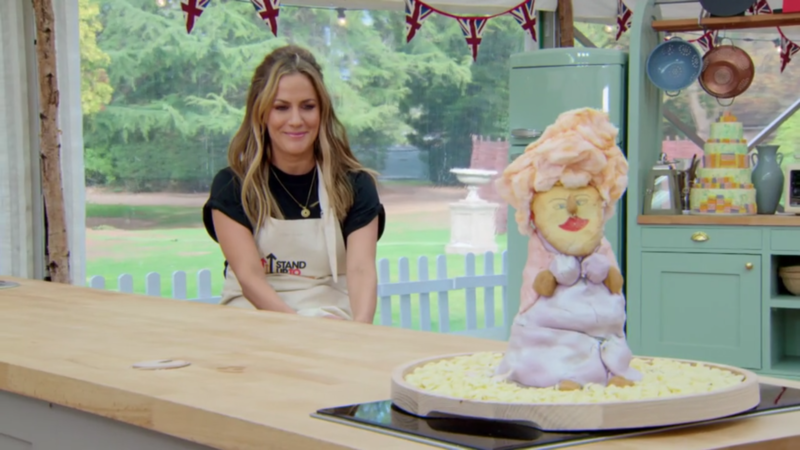 ‘Never found @carolineflack1 more relatable then when she was on Bake off tonight love her! I think they should add a challenge on love island this year where the couple bake and try to recreate Caroline’s showstopper ,’ said one. Never found @carolineflack1 more relatable then when she was on Bake off tonight 😂 love her! ❤️ I think they should add a challenge on love island this year where the couple bake and try to recreate Caroline’s showstopper 😂 retweet if you agree !! 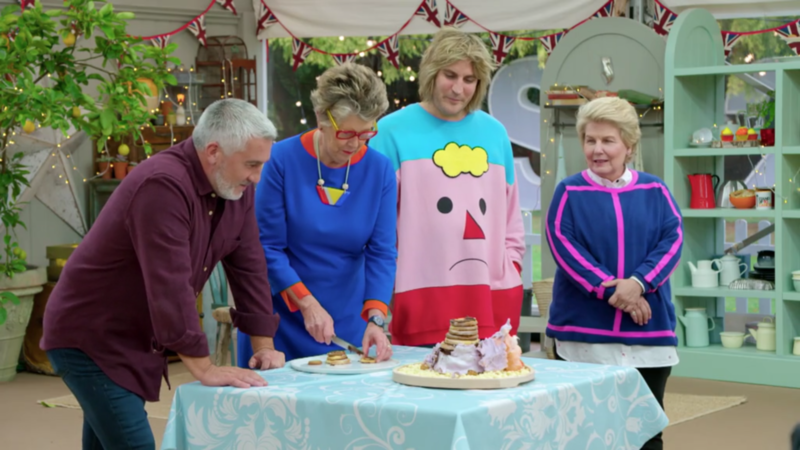 Unfortunately, GBBO judges Paul Hollywood and Prue Leith weren’t impressed by the biscuit tower, claiming they were ‘over baked and dry as a bone.’ Ouch! Instead, actor Greg Wise ended up taking home the coveted Bake Off apron and was crowned Star Baker. If you ask us, Caroline was robbed!